The European Commission says the EU needs to make better use of dwindling defence budgets if it is to properly take care of military problems in its own backyard as the US orients itself towards Asia. In doing so the real imperialist intentions of the EU are laid bare. In an ideas paper meant to feed into an EU leaders defence summit in December, the Commission noted that Washington is "rebalancing its strategic focus towards Asia" while the recent Libya war highlighted EU military "shortfalls. "We will not have the weight we need in the world without a common defence policy. To support it, we need to strengthen our defence and security sector," said EU commission president Jose Manuel Barroso. "We need to be able to back up our positions of principle with security and civilian missions that can help stabilize the situation in crisis areas around the world," he added. EU states between them have 1.6 million soldiers and spend €194 billion (£167 billion) annually on defence - but this strength is diluted by overlapping capacities and spending at a national level. Spending is down from €251 billion (£216 billion) in 2001, while defence R&D spending declined by 14 percent between 2005 and 2010, to €9bn (£8 billion). The commission points out that the US spends seven times more on research and development than all 28 member states put together. Russia and China, for their part, are expected to double their defence spending by 2015 when compared to 2011. 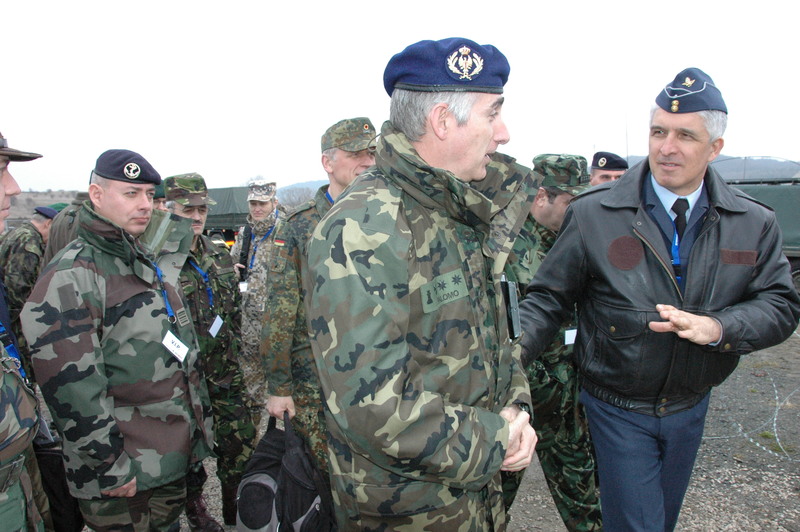 "We want to support the defence industry for economic reasons but also for defence reasons," said industry commissioner Antonio Tajani. But the commission is almost entirely bound by member states' political will in this area, with governments often reluctant to share defence technology or pool resources. This is exacerbated by a reluctance to let the EU commission muscle in on an area where it has no legal powers. Meanwhile the EU only has a few serious military powers - predominantly Britain and France - while most of its states also have commitments to Nato. On top of this, some countries, such as Ireland, are neutral. Much of the commission paper's suggestions reflect this complexity. The focus is to ensure that defence-related legislation is being properly implemented, that member states do not abuse state aid rules to benefit national defence industries and that defence companies have better access to EU funding. A key proposal, says the Commission, is standardisation. Its paper notes that most standards are civilian but when military standards are required, "they are developed nationally, hindering co-operation and increasing costs for the industry." Lack of common standardisation means armies cannot easily share equipment. The commission also says it plans to make armies more energy efficient. The paper is due to be discussed by EU leaders at their traditional December summit. The Commission will then make a roadmap with "concrete actions and timelines." Have you heard about the nEUROn? The nEUROn is an "experimental unmanned combat air vehicle," or drone, being developed with international co-operation, led by the French company Dassault Aviation. It will be significantly larger and more advanced than other well-known drone systems, such as the American MQ1 "Predator," with a range, payload and capability that approach those of manned fighter aircraft. The nEUROn made its first flight on 1 December 2012 in France. 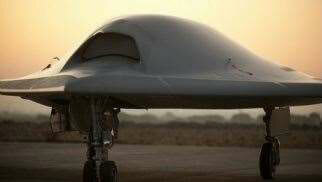 Flights are to continue in France until 2014, when they will be moved to Sweden for operational trials, then to Italy for measuring stealth characteristics and for live-firing tests. The 10-metre drone can remotely bomb targets with unprecedented accuracy and will eventually fire precision missiles controlled by a remote operator. It is believed to be far more advanced than current American drone technology. Meanwhile France and Germany have proposed that the European Union should strengthen the "operational effectiveness" of battle groups, co-ordinate border and maritime security, share more information on defence planning, and speed up the insertion of drones into European civilian air space. The joint paper comes before an EU defence summit in December. So here is yet another killing machine operated from a games console thousands of miles from the "action." Given recent demands for drones in civilian air space, who knows how near to home they might operate as a probable part of EU drone squadrons? France and Germany—the "motors of the EU"—have called for improved battle groups (clusters of 1,500 soldiers meant to be deployed rapidly) and the use of drones in civilian air space. Both countries say that amid "asymmetrical threats" the EU needs to "assume increased responsibility for international peace and security." They say they are committed to making a planned EU defence summit in December a success, with "tangible results." Among the results they are hoping for is agreement on the improved "operational effectiveness" of EU battle groups. The paper, to be submitted to the meeting, also suggests "seizing the opportunities" arising from the creation of a single European air traffic space. These include opportunities for military aircraft and the use of drones. Member-states and EU institutions are urged to "progress towards the air traffic insertion of remotely piloted aircraft systems." The EU high representative for foreign affairs and security policy, Catherine Ashton, is also due to produce an interim paper on defence, to be followed later in the autumn by a fuller report. The Commission has also chipped in with ideas on making defence spending more efficient and on the importance of implementing defence-related legislation.